My work on the latest violence in Israel/Palestine. “Israel, Palestine, Gaza War – how to help.” – I put together a list of ideas (contact information, links, etc) for helping the people of Gaza, and supporting Israelis and Palestinians who are striving toward genuine peace. (Click here, or just go to the home page – as of Thurs 7/31/14, it’s on the top). While I think it’s fair to point out that Israel’s reactions to the kidnappings have been marked more by anger and prayer than debate (however hushed), the simple fact that any questions whatsoever have been posed in conversation with an American reporter is significant and reflects a broader shift in attitudes toward the settlement project. Earlier this month, Justice Minister (and one-time right-wing stalwart) Tzipi Livni was quite blunt: “It’s time to say things exactly as they are: The settlement enterprise is a security, economic and moral burden that is aimed at preventing us from ever coming to [a peace agreement].” Moreover, a recent study found that a growing majority of Israelis no longer support that enterprise. It’s important to note, however, that if the citizenry shares Livni’s general sense of disapproval, they do not appear to share her reasoning: 71% of those surveyed say settler violence against Israel’s military keeps them from “identifying with” their settler brethren; 59% say the settlements are bad for Israel’s relationship with the U.S…. In fact, while 52% support a full or partial withdrawal from occupied territory in the framework of an accord with the Palestinian Authority, 31% support full or partial annexation — where the difference lies between partial withdrawal and partial annexation is unclear. All of which is to say: …the average Israeli still doesn’t appear to understand that every problem raised by the settlements is a necessary outcome of their very existence. Click through to The Forward for the rest. Israel & gay cash + Israelis distance themselves from settlements – kinda. What do you reckon is the busiest time of year for Tel Aviv’s hotels — maybe the High Holidays? Perhaps Christmas/New Year’s, when America’s families are on vacation? How about Gay Pride Week? …Tel Aviv’s message is clear: Come, have fun! We love your party attitude and your wallet! To which Israel’s national government can only add: Just don’t fall in love and try to get married. Even as Tel Aviv was raking in that sweet, sweet gay cash, a few miles away in Jerusalem the Knesset spent Wednesday rejecting a marriage equality bill…. To read the rest, click here. 2) Would Israelis Be Kidnapped If Not For Settlements? It’s important to note, however, that if the citizenry shares Livni’s general sense of disapproval, they do not appear to share her reasoning: 71% of those surveyed say settler violence against Israel’s military keeps them from “identifying with” their settler brethren; 59% say the settlements are bad for Israel’s relationship with the U.S. The violence of some settlers against Palestinians, the financial drain on Israel’s increasingly inequitable society, or the obstacle that settlements pose to achieving a workable resolution of the conflict do not appear to be major concerns. In fact, while 52% support a full or partial withdrawal from occupied territory in the framework of an accord with the Palestinian Authority, 31% support full or partial annexation — where the difference lies between partial withdrawal and partial annexation is unclear…. To read the rest, click here. On Ariel Sharon and Gaza. News came out of Israel last week that the health of former Israeli Prime Minister Ariel Sharon (who has been in a coma since January 2006) had begun to deteriorate; it’s been reported in the past few hours that he’s now in critical condition. It really is just a matter of time before the media will have to start publishing obituaries — and if they’re anything like last week’s proto-obituaries, it’s a good bet most will get the story of Sharon’s decision to withdraw from Gaza wrong. So before that happens, a few quick notes. The reason this version of the story is inaccurate is because it is incomplete. The decision to withdraw from Gaza was fiercely contested, it did come as a surprise, and it was pragmatic — but not because Sharon had become somehow less hawkish. It was pragmatic precisely because Sharon was still a hawk, and he had understood that he had to lose Gaza in order to save the West Bank. One characteristic of Sharon’s approach has not changed at all: He did not present a realistic strategy for peace. First he “hijacked” the [security] barrier and distorted it by transforming it from a legitimate means of self-defense into a political tactic for creating a Palestinian bantustan. Now he has hijacked the idea of disengagement and the dismantling of settlements – which was originally intended by the left to rescue Israel demographically… and seeks to reconstitute it as a rationale for fencing in the Palestinians and grabbing the rest of the West Bank. Alpher’s reference to the Geneva Initiative is the key element here. The Initiative (also frequently called “the Geneva Accord”) is a draft plan for a two-state peace along the 1967 borders with a shared Jerusalem. Launched by a group of Israeli and Palestinian thought leaders in October 2003, the ideas represented by the Initiative quickly gained significant support among the Israeli public — by the summer of 2004, that support had reached as high as 76%. Sharon had seen the writing on the wall, and knew full well that a two-state peace meant the loss of the West Bank and an end to any notion of Greater Israel. Always a very savvy politician, he grabbed some of the Intiative’s ideas and vocabulary in order to stem the tide. The disengagement is actually formaldehyde. It supplies the amount of formaldehyde that’s necessary so that there will not be a political [diplomatic] process with the Palestinians. …The American term is to park conveniently. The disengagement plan makes it possible for Israel to park conveniently in an interim situation that distances us as far as possible from political pressure. It legitimizes our contention that there is no negotiating with the Palestinians. There is a decision here to do the minimum possible in order to maintain our political situation. The decision is proving itself…. It compels the world to deal with our idea, with the scenario we wrote. It places the Palestinians under tremendous pressure. The withdrawal in [the West Bank] is a token one. We agreed to only so it wouldn’t be said that we concluded our obligation in Gaza. 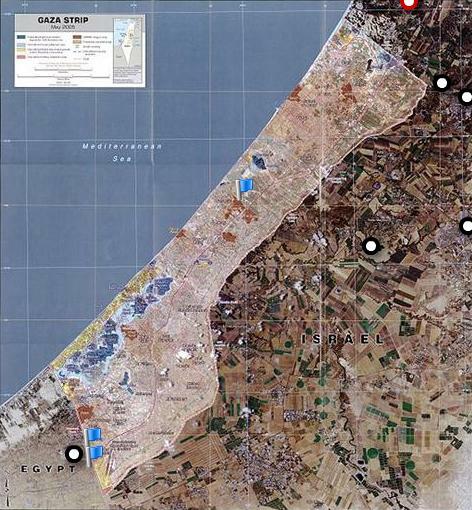 …Arik [Sharon] doesn’t see Gaza today as an area of national interest. He does see Judea and Samaria [the West Bank] as an area of national interest. He thinks rightly that we are still very very far from the time when we will be able to reach final-status settlements in Judea and Samaria. And finally, it’s very important to remember that Sharon refused to actually negotiate the pull-back with Palestinian President Mahmoud Abbas, insisting instead that the withdrawal be unilateral — which in turn meant that two-state minded Palestinians had nothing to show for a decade of negotiations, and Hamas, which during the same decade had waged a brutal terrorist campaign, was able to claim victory. The withdrawal from Gaza was a unilateral act intended to freeze out the Palestinian leadership and put the peace process itself on ice, so that Israel could deepen its hold on the West Bank. UPDATE 1/12/14: Haaretz ran a report today suggesting that newly revealed documents show that Sharon was already thinking about further territorial concessions in the West Bank at the time of his death. I’m not sure I agree with the conclusions the writer draws, and will blog about it sometime this week, but I thought I should link to the report in the meantime — to read it, click here. [h/t and thanks to Brent Sasely]. Dear Israeli Right: This is what anti-Semitism means. Language is a funny thing. On the one hand it’s malleable by nature, because human culture is endlessly malleable; on the other hand, at any given time, the words in whatever language you’re using have actual definitions. Take “anti-Semitism,” for instance. 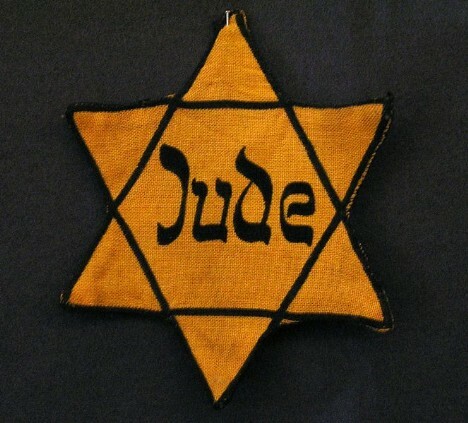 Anti-Semitism, n. – hostility toward or discrimination against Jews as a religious, ethnic, or racial group. Case in point: The sanctions that the European Union is poised to institute against West Bank settlements. The Israeli right feels pretty strongly that such sanctions will do damage to the settlement enterprise, and while we can’t really be sure of the outcome of a policy that hasn’t been implemented yet, I feel safe in saying that the Israeli right is, well, right—in fact, that’s the point of the sanctions: To damage the settlement enterprise. It’s a political action intended to produce political ends. If Europe thinks Jews will return to the days where we were forced to mark our products—you can forget it. Delegitimization of parts of Israel by Europe is the new anti-Semitism. The old anti-Semitism led to the destruction of our people in gas chambers. We will not allow the new anti-Semitism to hurt us. Now, we could start by noting that whatever you may think of the settlement enterprise, not even Israel thinks that the West Bank is “part of Israel.” Those lands haven’t been annexed, and indeed their future is (putatively, at least) under negotiation by the Israeli government even as we speak. We could start there. But why start there when we have the specter of gas chambers before us? This is not the first time that anti-settlement policies have been likened unto racism,anti-Semitism and/or the Holocaust (because, you know, taking the political position that the West Bank does not, in fact, belong to Israel is just like performing torture experiments on Jewish children, sexually enslaving Jewish women, and gunning down 34,000 men, women and children at Babi Yar. Not to mention gas chambers), and it probably won’t be the last. Indeed, the right’s tendency to label everything vaguely unpleasant as anti-Semitism (and a new Holocaust to boot!) is so strong that Israel’s more non-hyperbolic citizens often mock and satirize it. Perhaps my favorite example of this is an old routine by iconic comedy troupe HaHamishia HaKamarite—you don’t even need a working knowledge of Hebrew to enjoy it. The mockery comes because many, many Israelis (left, right, and ambidextrous) understand that there’s simply no intellectually honest way to shoe-horn a decision to suspend “grants, prizes, and financial instruments… to Israeli entities or to their activities in the territories occupied by Israel since June 1967” into the idea of hating on Jews because they’re Jews. Or into the idea of killing them. It’s ahistorical. It’s nonsensical. It suggests a lack of book learning. And it’s deeply, profoundly offensive. When Shaked (or Dani Dayan, or Avigdor Lieberman, or Zeev Elkin) say these things, they’re using the screams of babies, numbers burned into flesh, and ashes that once rose into heaven to try to shame the world into accepting right-wing dogma as settled fact. It is, simply put, grotesque. Anyone who is even remotely familiar with my work knows that I’m anti-settlement. I always have been. But I don’t think that you have to share my political inclinations in order to agree on this particular point. Some things really are anti-Semitic—as the Jews of 21st century Hungary, baseball disgrace Ryan Braun, the good people of Virginia, and a young girl I know who was once told that “Hitler should have finished the job” can attest. We need to stand against that hate and that bigotry wherever we see it and educate aggressively so that it becomes a thing of the past. In conformity with international law on the non-recognition by the EU of Israel’s sovereignty over the territories occupied by Israel since June 1967…the EU has made it clear that it will not recognize any changes to pre-1967 border, other than those agreed by the parties to the Middle East Peace Process. But Israel’s right wing (and the Americans who support it) want the world to simply give up and give in, to adopt its ideological position and red-roofed West Bank homes as a fait accompli and play a supporting role in denying the Palestinian people their civil and human rights into perpetuity. And they’re not above exploiting the deaths of six million people to do it. McDonald’s ‘boycott’ is 20 years old—so what’s the big deal? Israeli financial daily Calcalist reported on Wednesday that global behemoth McDonald’s won’t be opening a franchise in a shopping mall currently under construction in Ariel, Israel’s largest West Bank settlement—that, in fact, owner and general manager Omri Padan “refuses” to do so. McDonald’s Israel has clarified, however, that it’s always been company policy not to operate beyond the Green Line, and as the Israeli franchise has been a growing concern for twenty years, it requires a special kind of effort to see the refusal as anything new, or as a response to any sort of pressure. Sure it’s a boycott, but it’s a boycott that’s already a generation old. 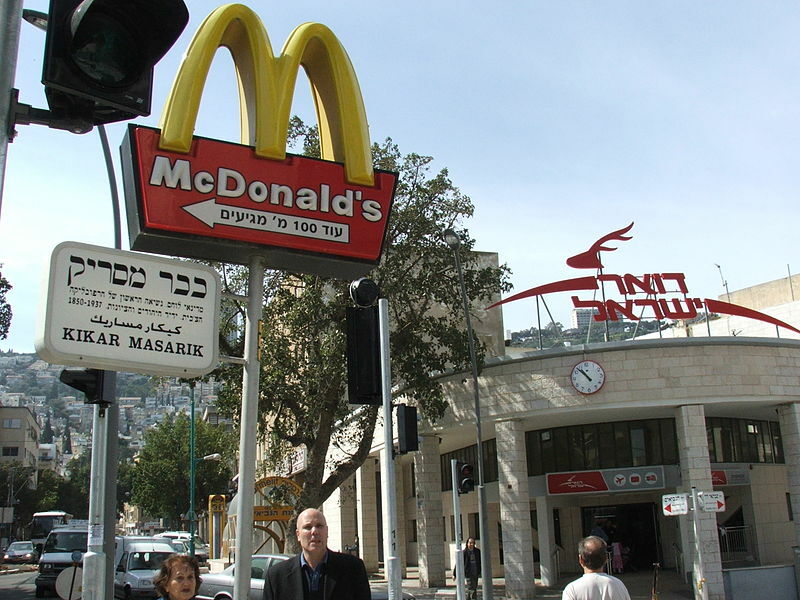 McDonald’s-Israel has not nor will it open a branch in any Israeli settlement beyond the Green Line. Back when I was the general manager of Kitan Textiles, I told the board I would resign immediately if they moved to open a plant [in] the West Bank. I have the privilege of not needing to compromise on my principles. This is a media spin generated by [mall owner] Rami Levy and his associates. Padan hadn’t even heard of this mall until he was approached seven months ago. He rejected the idea outright. Levy is trying to push his mall forward with media spin, whereas our chain’s policies concerning the opening of branches across the Green Line have been well known for years. So the story currently rocketing around the Israeli and broader Jewish media is, as they say, a nothing-burger. But buried in the hype is an interesting reflection of Israeli social reality: Omri Padan spent his army years in the IDF’s elite commando unit known as the sayeret matkal, the same legendary unit in which Benjamin Netanyahu also served, just a few years earlier. All of which is to say: These men more than likely know each other. Israel is a small place, and the military/political/business elite (which is, bottom line, one and the same) is even smaller. If Padan, Netanyahu, and Levy aren’t buddies or didn’t actually serve shoulder to shoulder, they’ve almost certainly attended the same weddings, share friends, might even feature in the background of each other’s family photo albums. But even if not—even in the event that Omri Padan has never so much as crossed paths with either Levy or Netanyahu—there is simply no way that Rami Levy actually believed the owner of McDonald’s Israel would agree to open a branch in Ariel, and to the extent that his friend the Prime Minister knows anything about his business affairs, Netanyahu, too, knew there was no way. Why spin the story, then? Why create something where there was nothing, why imply that Padan has taken a new stance, why hint that he has been influenced by the international BDS movement? I don’t know, and I rather suspect that Levy and his associates would be unlikely to tell me. McDonald’s has turned from a business into an organization with an anti-Israeli political agenda. We expect that Israeli citizens, especially those living in [the settlements], will take this into account before entering the company’s franchises. As McDonald’s controls a whopping 70 percent share of the Israeli fast food market, it’s not clear how much damage such a boycott would do. But don’t worry about the settlers—Ariel will be getting Israel’s McDonald’s knock-off, Burger Ranch. “For the glory of the state of Israel,” the company announced. At last, Herzl can rest in peace. Nothing-burgers for everyone! 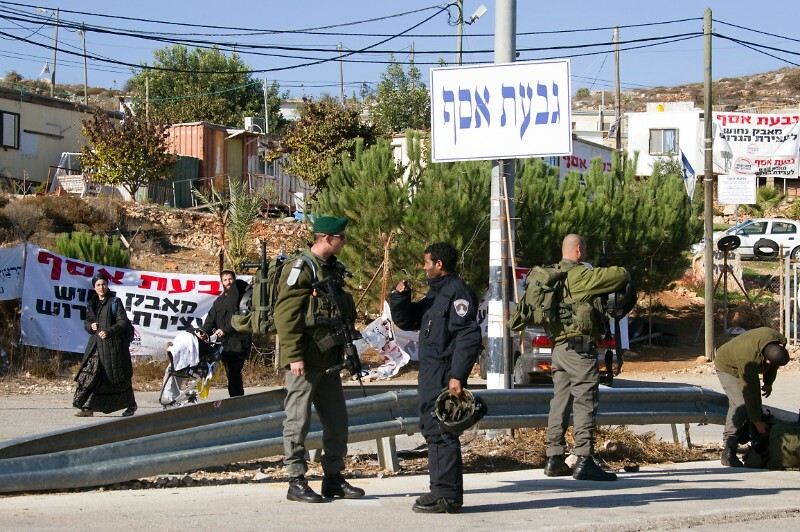 The illegal outpost of Givat Asaf is among the four outposts to be declared legal. By now the story almost writes itself: A high-ranking representative of the U.S. government—in this case, John Kerry—is slated to arrive soon in Israel, part of an effort to reinvigorate a peace process described as “moribund” since at least the early aughts. That effort is already making everyone mad, and Israel has taken the same steps it always takes to ensure that the U.S. government understands exactly where it stands: It’s expanding settlements. The state said that it will act to legalize four West Bank outposts for which a delimitation order was issued in 2003 by the Israel Defense Forces GOC Central Command. Such an order allows the army to demolish at any time structures located within the delimited area. In 2007, attorneys Michael Sfard and Shlomi Zecharya petitioned the High Court on behalf of the Israeli anti-settlement organization Peace Now, to implement the order. …construction in the outposts continued despite the order. The High Court requested clarification from the state, and on Tuesday a detailed opinion concerning each one of the four outpost[s] was submitted to the court. In the document, the government said it had taken steps in recent weeks to retroactively authorize the outposts, which were built without official permission. Built illegally, even by Israel’s standards; acknowledged as illegal, and thus ordered demolished; construction continues, despite state acknowledgement of the illegality of the outposts’ very existence—so sure, ten years later, why not rejigger your country’s laws to provide a patina of respectability? Why not give cover and support to lawbreakers in a manner that is not only insulting to all Israelis who respect the law, but which also flies in the face of the very thing to which your greatest ally has called you to commit yourself time and again? There’s plenty that’s infuriating in this story, but there’s absolutely nothing new. If you’re a settler, you learned long ago that if you just push hard enough, you can do whatever you want. You will not be held accountable for illegal construction, any more than you might be for setting fire to Palestinian fields, or attacking Palestinian villages. And if you’re an American diplomat, you learned nearly as long ago that pretty much no matter what you say, no matter what you do, no matter what international law or the global community might say—Israel’s going to keep building. Keep expanding its hold on the West Bank until it has a complete and final hold on all those lands it now occupies illegally, and has ground down or kicked out as many of those lands’ legal occupants as humanly possible. Keep going until a two-state piece is literally impossible, the Palestinians have given up all hope, and Israel reigns triumphant. At least, as an American and Israeli citizen, I would hope that the Administration and State Department understand by now that that’s the plan. Because that’s the plan. I mean surely, any sentient being with two eyes in their head can see that that’s the plan? Even just one eye? The only people who might, conceivably, change the plan’s course are all those same Americans. Only if and when it becomes diplomatically untenable for Israel to continue down this illegal and destructive course will my Israeli government even consider throwing on the brakes. Only if and when a U.S. government takes a firm stand and sticks by it will Israelis and Palestinians have so much as a chance at the peace that Kerry is working so hard to achieve. But let me stress: The plan’s end-goal is, despite everything, unachievable. Israel will not be able to convince the Palestinians to give up all hope, and the Jewish State will ultimately be lost in the effort. At best, all Israel will be able to achieve is a single political entity in which constant, low-level ethnic violence makes any semblance of normal life a distant dream (which is to say: an even worse version of what already exists). That’s the best case scenario. I shudder to think about the other options. It may already be too late for Kerry to do anything, frankly. Nothing and no one in the current Israeli government gives me any reason to believe that Israel has any interest in turning the country’s Titanic around. For what it’s worth, those who support the settlement project (which is virtually the entire government) appear to be genuine in their assumption that they can force their will on the world. Just like the settlers, Israel’s governments have never been held accountable for their actions. Witness Kerry’s upcoming trip. Crossposted at Open Zion/The Daily Beast. East Jerusalem doc ‘My Neighborhood’ wins Peabody Award. We see Sara Benninga dragged away by police; we hear her father, the son of Holocaust survivors, express the anxiety produced by watching his children arrested time and again. We hear the words of protestors, including Prime Minister Netanyahu’s own sister-in-law, Ofra Ben Artzi, who says: “Where there is injustice and human rights violations, and people are thrown out of their homes, I have an obligation to be there.” In the two years that followed the launch of protests, evictions stopped in Mohammad’s neighborhood—but they continued elsewhere. Produced by Just Vision Media, a production company dedicated to telling stories of Israeli-Palestinian nonviolent cooperation (as in the acclaimed Budrus and Encounter Point), My Neighborhood is both powerful and moving, but by nature of its truthfulness, the hope the film tries to convey is necessarily limited. “Sheikh Jarrah elicits hope,” Zvi Benninga says toward the end of My Neighborhood, “but it is set in a reality that scares me. Finance Minister Yuval Steinitz last week signed the government’s new national priority list, which grants housing and development benefits to some 660 communities…. The new national priority list includes 87 West Bank settlements out of a total of 131 settlements. Some of these communities belong to the large settlements blocs, such as Ariel and Efrat, which have a relatively high social-economic ranking, and others are isolated communities like Yitzhar, Itamar and Elon Moreh. In total, settlements make up 13 percent of the list, while settlers make up just 4 percent of Israel’s population. As Ynet so delicately puts it: “the government appears to be encouraging Israelis to purchase lands in settlements like Beit El, Tapuach, Ofra and Eli”—the very thing that the government has long encouraged Israelis to do, via perks such as state subsidized mortgages, extra education budgets, and superior infrastructure funding. It’s important to remember here that Ofra was built illegally even by Israeli standards, and whole sections of Beit El sit on land stolen from private Palestinian owners—and that these two examples are hardly exceptions to the rule. The occupation (a real thing that actually exists in the lives of real people) is a tool wielded by successive Israeli governments to protect the country’s investment in the settlement enterprise, an enterprise rooted in and shaped by lawlessness. the cities of Ashdod, Ashkelon and Kiryat Malachi, which were hit by hundreds of Hamas rockets in the recent round of fighting in Gaza, have been excluded from the list despite their relatively low social-economic ranking. Other communities excluded from the list include Lod, which was the subject of a scathing state comptroller report, Ramla, Kiryat Gat and Beit Shemesh, which has an even lower social-economic ranking. Indeed. Not on its list of priorities, and apparently not likely to be in the near future. Unless and until rockets start to fall again (which, in the absence of a two-state peace, seems a forgone conclusion, even to Israelis who lived through the last war), a two-state peace made increasingly impossible by the on-going settlement enterprise. If the people of Lod and Kiryat Malachi want to see their problems genuinely addressed, they’ll have to start in Ofra and Beit El. I am late to this, but The Unmaking of Israel (published 2011) is that one book that you need to read on Israel, if you read no others. And if you read others, you should still put Unmaking at the top of the pile. And if you read nothingnothing else? At least read the first chapter. It’s only 14 pages, and it’s a brilliant little précis of the book’s entire argument. Gorenberg is an American-Israeli like myself, except he stayed. He’s been there for more than 30 years, is Orthodox, lives in Jerusalem, and he’s a very, very good writer — I often recommend his short-form work, and over on the right you’ll see a link to his blog, South Jerusalem. Before I go any further, though, a caveat: I agree with virtually every single word in Unmaking, and the only reason I say “virtually” is because I’m sure there’s some small point that I would have handled differently, because surely there has to be. I just can’t remember which one, just now. So it’s possible that part of why I recommend this book so highly is simply because it is such a relief to read something that to me feels like the very finest of common sense. But even so, having gotten that out of the way: It’s a great book, with an excellent summary of Israeli history that manages the supposedly impossible task of respecting the Palestinian narrative as well right in that first chapter, and you really should read it. Gorenberg’s bottom-line point is this: The settlements, and everything that led up to and is flowing from the settlements, is pulling apart the positive good that is Israel, and has been so doing since 1967 — and it’s not just Israel that’s suffering, but Judaism itself. The trends I’ve introduced here did not grow out of one carefully premeditated policy. Some resulted from ignoring commonsense warnings about long-term rule of another people. Some are the completely unintended consequences of seemingly safe decisions, or of choices made to solve immediate problems. Many are the product of continuing to sanctify values that made sense before 1948, when Jews were seeking self-determination — and that make no sense in an independent state. There’s an essential chapter about the utter lawlessness of the entire settlement enterprise — even by Israeli legal standards — and Gorenberg very clearly lays out the dangers of allowing a particular ideological group rise to the top of the military in a democratic state (especially when that group openly opposes government policy), as well as the danger in fostering the flowering of an entire sub-society, the ultra-Orthodox, that rejects the secular state, contributes nothing to it and consciously fails to prepare its children to ever contribute to it, all while depending on that state for its livelihood. For Israel to establish itself again as a liberal democracy, it must make three changes. First, it must end the settlement enterprise, end the occupation, and find a peaceful way to partition the land between the Jordan and the Mediterranean. Second, it must divorce state and synagogue — freeing the state from clericalism, and religion from the state. Third and most basically, it must graduate from being an ethnic movement to being a democratic state in which all citizens enjoy equality. As someone who focuses almost exclusively on Gorenberg’s three-part #1, I must say I got a little bit of a frisson in my Israel-loving heart when I realized that hey now, he’s about to say that ending the occupation/settlements is not the be-all, end-all! Because of course it’s not. It’s the first, prerequisite step, but then there are these other messes that we’ll have to clean up. In those final pages, Gorenberg presents a very, very reasonable plan (a series of very, very reasonable plans) to essentially save Israel from itself, and perhaps the greatest disagreement we have is in tone — merely by laying these things out, Gorenberg suggests their possibility, and I have become so disheartened that I have a hard time believing anymore in those possibilities. I would venture that Gorenberg probably has his bad days, too, though. At any rate: If you read nothing else about Israel, read Gershom Corenberg’s The Unmaking of Israel.